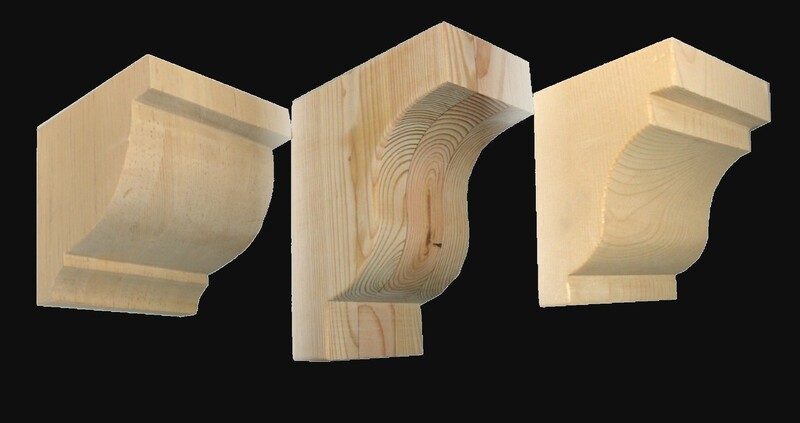 Smaller sized Corbels. Many are used for Dentil Blocks. Dental312 Dentil block 2-3/4" deep x 3-1/2" wide x 4" high. Laminated hemlock. Dental5312 Dentil block 2-3/4" deep x 5-1/2" wide x 4" high. Laminated hemlock. Corb #33. 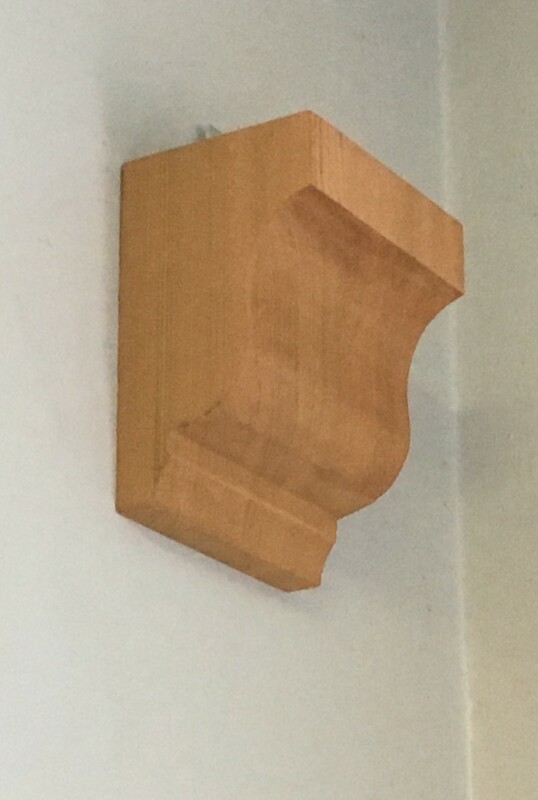 Shown in Western Red Cedar 3-1/2" deep x 3" wide x 8" high. Corbel #32. Price is for laminated pine. 3-3/4" deep x 3-1/2" wide x 4-1/2" high. Unfinished shown in Pine. Corbel #34. Dentil block Price is for laminated pine. 4" deep x 3" wide x 5-1/2" high. Unfinished. Shown in Cedar. Corbel #38. Price is for laminated pine. 5-1/2" deep x 5" wide x 5-1/2" high. Unfinished shown in Pine. 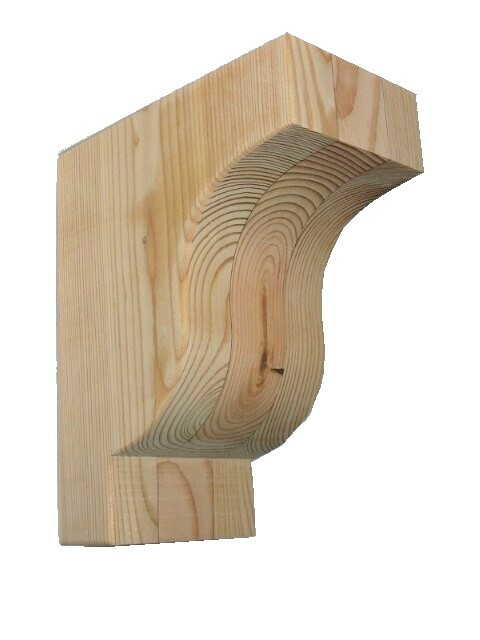 CORB95-C 5" Wide x 3-1/2" deep x 6" high Available in cedar or fir. 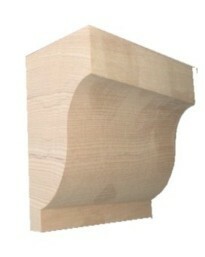 Corbel #39 Price is for laminated pine. 5-1/2" deep x 3-1/2" wide x 7-1/4" high. Unfinished shown laminated Fir.